Diesel Conversions Convert gas to diesel, or convert to a 6.2/6.5/Duramax/Cummins/Navistar/Isuzu/Perkins/Detroit/or ... diesel engine. Go here to see completed projects, works in progress, share your conversion or ask the experts. First off please bear with me and my lack of terminology. As you guys can see from the title I am looking into converting my Range Rover Petrol engine into a Diesel but I am no mechanic so this is going to be a learning curve for me. Obviously, I am going to get a mechanic to do the work if I decide that converting is the right choice but I have a few question for you guys first. I suppose my first and most important question would be, is it possible to convert any petrol engine over to Diesel? If it is possible, How much am I looking at in terms of cash to convert my Range Rover 4.4L Automatic petrol engine into a Diesel? In terms of power will the Diesel engine feel the same to drive as my petrol? I'm assuming there is going to be a substantial amount of power loss and torque but I could be wrong? I'm sure I will have a few more questions for you guys after I know the answers to these. If there is any other information you guys need please let me know and I will get back to you ASAP. In general, you’re questions are a bit too vague to be able to supply good answers. 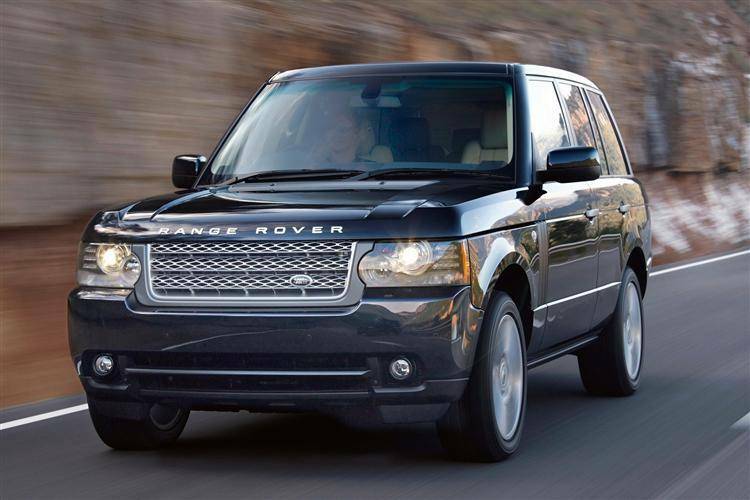 A lot is going to depend on what diesel engine you’re looking to put into your Rover. I’ll admit that I don’t know a lot about what Range Rover offers in petrol or diesel versions and even less about what they offer in the non-US models. The way the question is worded, I’m not quite sure on your intent. If the question is whether any petrol engine can be replaced with a diesel engine, the answer would be yes - it just depends on how much time and money you’re willing to put to it. I once saw a VW Bug with an airplane engine swapped into it - so anything is possible. But if you’re asking if you can make a petrol engine run on diesel (not swap to a diesel engine), then from a practical standpoint, no. That’s a really difficult one. The cheapest solution would likely be if your Rover is offered in a diesel model and you can swap one from a wrecked vehicle into yours. That way the “factory” would have figured most of the issues out and it would mainly be just bolting parts in to achieve the desired result. But from there, costs are going to go up depending on how “custom” the swap ends up being. Honestly, the cheapest solution would be if there is a diesel model available to sell yours and buy the diesel model. Again, a vague question. A lot depends on the engine being swapped in. For an engine of the same displacement, you’re likely to see less horsepower and more torque from a diesel. But actual numbers would depend on the engine being swapped out vs the engine being swapped in. First of all, welcome to the forum. While I applaud your lofty goals, only two companies have been successful in converting a petrol engine to run on diesel. Oldsmobile and Volkswagen. Both were monumental failures until the engineers re-worked the foundations of the engines to handle the stresses involved. If you are really interested in a diesel conversion, you are starting with a good base. By far the most popular conversion, at least in Australia, was to the GM 6.2/6.5 diesel, while in your country, a straight conversion over to the 2.5 liter Rover diesel would be far more practical and maintainable as the parts are readily available in Ireland and the British Isles. As far as driveability, the diesel is going to have a bunch more torque low down so your off the line acceleration will be much better, as will your highway acceleration as in ability to pass. I for one, prefer a diesel over a petrol engine for those reasons, plus I tow a rather large trailer and the diesel is much more suited to that task. Having said that, technology has done a great job with the petrol engines and the difference in power and fuel efficiency has narrowed considerably in the last 10 years. Used to be you could expect at least a 20% increase in fuel efficiency over the petrol equivalent (diesel fuel contains 20% more energy by volume than gasoline) but even that is has been narrowed due to more efficient petrol engines and less BTU value in the low sulphur diesel fuel now available. If you are doing it for the economics, you would have to put a pile of mileage on the conversion to justify the cost so use your calculator to work out if you really want to do this. If you want to do it, just because you can, than all bets are off. If you are determined to do a conversion on your existing engine, please ship your car over here to Canada and fill the balance of the shipping container with large denomination currency. It can be done, but no guarantees on the finished product. We call it the 12/12 guarantee. 12 years or 12 feet, whichever occurs first. Talk to your mechanic, actually take him/her out to the pub and buy him/her a beer, and get his/her take on it. From what you have said, a conversion over to the Rover diesel would make more sense as all the bits would be available. Thanks for the replies guys. It looks like the step in the right direction is turning into a leap pretty quickly. Sorry about the poor questions my English is terrible and I am English lol. I was looking into swapping my petrol engine out for a Diesel engine if it was possible and the rough costs. After having a good read through the thread I have found that it's pretty expensive to convert over and it might be cheaper to sell my Range and buy the Diesel version. I'm not giving up yet though! I plan on going to see a pro mechanic and getting a quote from him then seeing where I go from there. Ok, swapping one for the other is definitely cheaper than trying to make a petrol engine run on diesel. If your Rover had an option of a diesel engine, that lowers the cost considerably if you can find a wrecked Rover with the diesel and then swap all the components over to your petrol version.